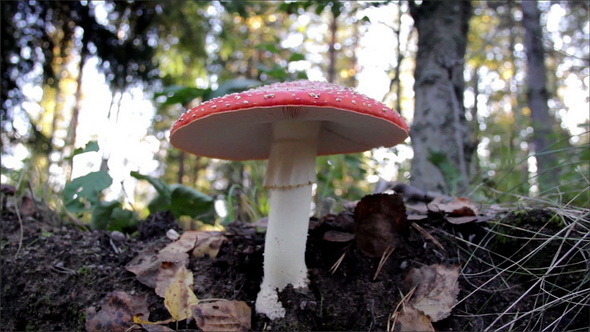 Growing Amanita Muscaria fly agaric mushroom in the forest. In the forest full of large trees one large mushroom is growing. Have a look at similar or my favorite clips from my Portfolio!